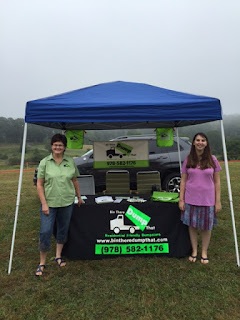 wachusettdumpsterrental: Bin There Dump That + Stillman Dairy Community Country Fair = FUN!!! Bin There Dump That + Stillman Dairy Community Country Fair = FUN!!! 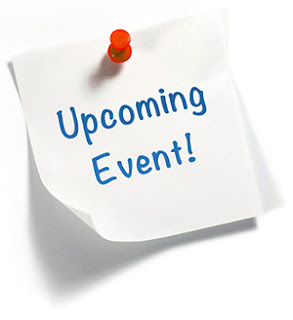 The Second Annual Stillman Dairy Community Country Fair will be held on Saturday, September 10th from 11am to 5 pm at Stillman’s Dairy Farm on 991 Lancaster Avenue in Lunenburg Ma. We at Bin There Dump That are excited to be attending this wonderful event again for it's second year running. Last year we had a blast and really enjoyed seeing some familiar faces as well as meeting the many new ones. Also making appearance again this year will be one of our clean & green residential friendly bins. Pictured above is local owner of Bin There Dump That Wachusett Area, Julie Paradise and her daughter Annie at last year's Stillman Fair. Over 4,000 people attended last year, and raised $13,000.00 for the Lunenburg Community Food Bank. It sounds like this year will be a record breaker. There will be over 40 booths with a variety of vendors, crafts, music, raffles, games, yummy food, and more! It will be a daylong, uplifting and fun event, filled with activities for both adults and children. The event will feature various vendors and crafters selling their wares, along with live music, games, hayrides, farm tours, and face painting. We will have beer, cider, and wine available at the event, so bring your ID if you wish to drink. Be sure to check out the silent auction, and raffle items that are donated by local businesses, and people in our community. Pet Reminder! This is a working dairy farm, and for the safety of the animals, and the public we ask that you leave your pets at home. Stillman Dairy Farm, The Lunenburg Turkey Hill Family Lion’s Club, and a group of Lunenburg residents will be holding this as a special fundraiser in the form of a country fair to help raise funds for the Lunenburg Lion's Club along with supporting the Lunenburg Boys and Girls Club, and the newly formed Lunenburg 4-H club. So please, if you're looking for something fun to fill your weekend with, come check out this wonderful event! And... make sure to stop by our table and say HELLO!